HRBC's aim is to help organisations in the public, private and voluntary sectors to identify candidates who may be unsuitable to work with children or other vulnerable members of society? Our Paperless DBS On-line application service is designed to help You to carry out Disclosure checks (DBS Disclosures) and to provide You with up-to-date DBS information in order that You can make informed recruitment decisions based upon the DBS checks, on the suitability of staff and to provide greater protection to children and vulnerable adults. We all need a bit of help now and then, whether it's a simple 30 second question or an in depth discussion. Having someone available to answer your questions, when you have them, is integral to getting the task done and continuing to build your business. 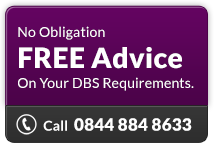 HRBC provides You with up-to-date DBS information in order that You can make informed recruitment decisions on the suitability of staff and to provide greater protection to children and vulnerable adults. In our on-demand world, people expect – and need – fast up-to-date information. We fulfil this requirement by offering You choice in order that the Crimes Committed against Children and Vulnerable Adults can be eliminated. The purpose of our website is to provide You with up-to-date information in order that You can make informed recruitment decisions on the suitability of new staff and to provide greater protection to children and vulnerable adults. Some Umbrella Bodies are available only to a defined group of organisations or individuals. HRBC is available to all organisations who wish to use our services. We are always willing to discuss Your requirements and can suggest a solution that is financially viable for Your Company. Retain Human Resource Background Checks (HRBC) for a fast and efficient response to enhance Your Recruitment decisions. The ability to set-up and transfer applications through our secure system. The ability for their candidates to safely and securely complete their applications Online. The Benefits of Eliminating the necessity to invest in specialist knowledge, software or trained staff. Call us in order that we may advise you and discuss your specific requirements, no task is too big or too small, our staff are capable and able to handle Your special needs. We stand ready to assist You when required. We believe in the advice that we give and that you will benefit from it. We have gained a reputation for success by our diligence and guarantees that we offer and achieve. We do not spend time chasing new clients - They chase us! The power of word-of-mouth and our reputation is our greatest recommendation, because if you are pleased with our service you will be happy to recommend us....as many do.